Creative Writing Essays Motivational Short Story Why do Marks and Grades Not Everything in Your Life? Our formal education system is often cited as a prerequisite for a “good job” out in “the real world”. 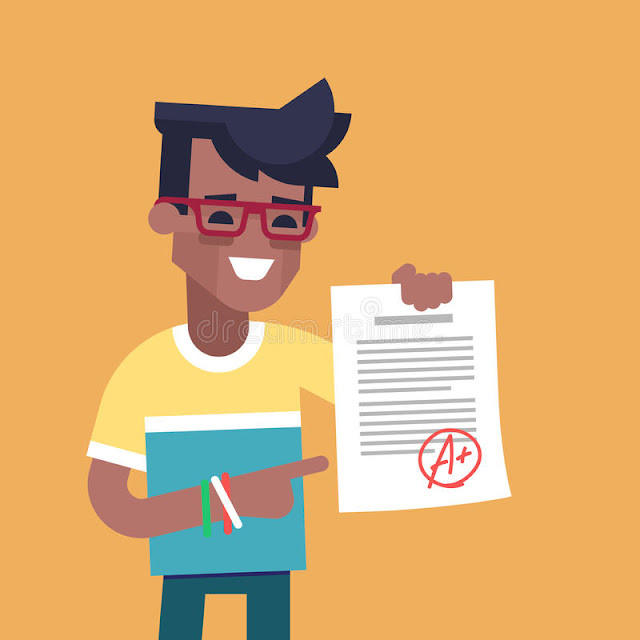 With this understanding of the importance of education, many students get wrapped up in their grades and marks, often taking them as value statements on their own self-worth. It’s really easy to get trapped in the cycle of getting good grades to get a good job to make a lot of money to pay for a house to support a family to send your own kids to college so they can get a good job and make lots of money. When this happens, grades become the foundation for an entire future — and perhaps even the foundation of your child’s future, which is honestly just way too much pressure. I think that education is about better knowing yourself, better knowing the world around you, and attempting to figure out your place in the world. Understanding reality and your role in it (“Knowing thyself,” as the ancient Greeks said), is infinitely more valuable than any material consequences of a diploma. Education is about self-improvement, not about the number of zeros on the end of a paycheck. With this in mind, I think that grades start to lose their novelty. By valuing education for its personal return instead of its financial return, grades become less of a statement on the future and more of a (mostly) inconsequential part of knowing thyself. Obviously Grades have their place. They’re a necessary part of education. What they aren’t a necessary part of is self-esteem. They don’t really matter because they don’t define us: what defines us is the changes education makes within us. So maybe I got a B or a C on that last exam, but am I better overall for having taken the class? The answer is usually yes. And that is what makes education worthwhile. Forget the grades, forget the jobs, and just try to become a better person, enjoying the ridiculous luxury that education is. It can be bad grades that will discourage them to be inactive and to rebel. It can be the environment that can be stifling and suffocating for the students. Some students excel under pressure, and there are those who crumble beneath it. It’s easy to praise the students who continuously work hard, but let’s try not to berate those who find it difficult to focus. When students get tired of school, they find all means to take the shortcut. This is why numerous students end up copying their homework and plagiarizing their essays. With the likes of Mark Zuckerberg being the poster boy of drop-out billionaires, it’s easy to see why many students seem to think that they no longer need school to succeed in life. But closer inspection shows that their path to success is muddier than one would expect. And besides, we can’t all be Mark Zuckerberg. We can’t all be Steve Jobs. But students can try to pave their own way to success and school can help with that. We need to understand that students have different modes and strengths in learning, and sometimes formal education doesn’t work for many students. But every student has a talent and a skill that need time to develop. It’s easy to get disheartened with a failed Math exam, but it’s just one exam out of many. A low grade for an English essay may be discouraging, but there’s always a next time. What students need to keep in mind is that getting bad grades and making mistakes can only lead to further learning. There’s always room for growth and time to correct their mistakes. One failure doesn’t mean it’s endgame already. No, your future doesn't depend on your WBBSE or CBSE Class 12 marks or what college you get into - it's an evolving lifelong thing that you get to create page by page, chapter by chapter, in the book of your life. You are and always will be much more than a degree, a course, a job. You are a human being with inspiring qualities and with infinite potential -- at age 18 or 80. Recognize your power and resourcefulness. Be so strong from the inside that you can face any situation in life and make it sparkle. There will be laughter and tears, endings and beginnings, births and deaths, adventures and misadventures, regret and acceptance, the world will fall apart many times and come together again. None of this will be dependent on your marks or what/where you studied. Very little in life is worth losing your sense of self and peace of mind. Absolutely nothing is worth letting your self-worth be determined by external forces. You are wonderful. You are bright. You are courageous. And there are many ways to get to where you want to be, if you'll keep your dreams alive and the doors open. The rest of your life is just beginning. And I am so excited and optimistic for you, dear brothers and sisters!!!! !